I’m going to stick my neck out somewhat here and suggest that if you’re a first time visitor to Cornwall and want to spend some time in a town that encompasses everything that Cornwall has to offer then I’m going to recommend that St. Ives is as good a place to stay as anywhere. It’s a holiday town with typically narrow Cornish streets leading down to the harbour where small fishing boats and leisure craft sail out to the wonderful coastline which has some of the best beaches and scenery in Cornwall. There’s also a clarity of light that has attracted artists for many years. Yes! It also has shops selling touristy items, fish ‘n chips and pubs spilling out onto the harbourside – but that’s also a part of an English summer holiday anyway isn’t it? 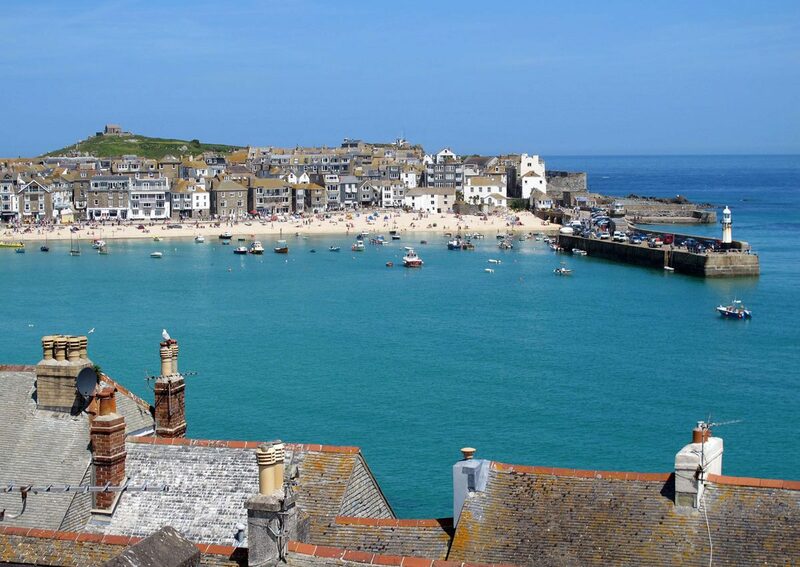 I like St. Ives, I always have – and I’ve yet to meet anyone who hasn’t. If nothing else I reckon St. Ives will encourage you to visit more of this remarkable county – and I wouldn’t mind betting that you’ll find yourself back here again as well.